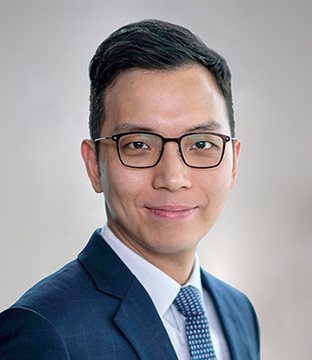 Alex Mok’s practice focuses on advising and representing corporations, banks, financial institutions and high net worth individuals on complex commercial litigation, arbitration, regulatory investigations and compliance. Advising a multi-national company in a joint venture partners’ dispute relating to the promotion and distribution of products in mainland China. Acting for various mainland China sellers in a HKIAC arbitration against a listed company for a claim for damages concerning the sale of mobile gaming business. Advising an investment company and its nominated director in a dispute arising from its investment in a company running an education business. Acting for a mainland China company in two HKIAC arbitrations and a related Hong Kong High Court action concerning a joint venture partners’ dispute. Acting for two individuals in an arbitration for a claim of US$35 million against a NASDAQ-listed company (seated in Singapore, administered by SIAC rules). Acting for two individuals in a shareholders’ dispute, involving injunction applications and just and equitable winding-up of the company. Acting for a leading multinational corporation in the automotive industry in defending claims for damages in excess of US$150 million. Acting for various companies in potential claims commenced by the liquidators of a Hong Kong company relating to the alleged reorganization and divesting transactions prior to liquidation. Advising a co-executor of an estate of a prominent tycoon worth billions of dollars in both contentious litigations and in the administration of the vast estate. Acting for three individuals in the appeal of a high profile defamation action against a Hong Kong Government prominent official and his wife. Acting for a major broadcaster in a judicial review application and successfully obtaining the Court’s judgment quashing a decision of the Hong Kong broadcasting authority. Acting for a Hong Kong listed company in court applications relating to sanctioning and implementation of a scheme of arrangement under the Companies Ordinance (Cap. 622).